Some Twitter wag made the accurate observation that, were it not for Mitch Moreland, the Red Sox would be 0-11 on the Road Trip From Hell. In fact—thanks to Mitchy-Four-Bags—Boston wings home to Fenway's Tuesday Home Opener with a robust 3-8 record. 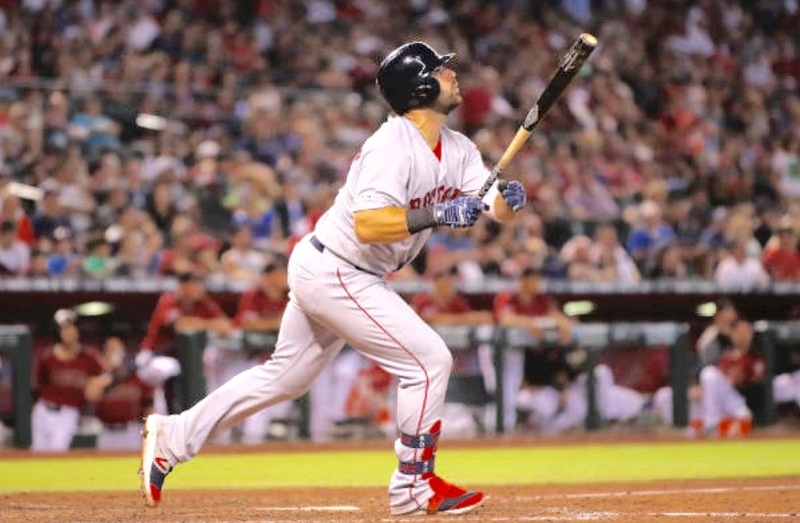 Moreland delivered a towering blast (his third HR of 2019) over the out-stretched glove of Adam Jones to give the Red Sox a 1-0 lead they would not (for once) relinquish. The unlikely pitching corps of Hector Velazquez, Brandon Workman, Marcus Walden, Matt Barnes and Ryan Brasier combined to three-hit the D-Backs in the shutout win. Otherwise, Boston's offense (other than Moreland) was again tepid—tapping out just five hits on the day. The Red Sox need to go on a "Joe Morgan-Esque" homestand to right this teetering ship. Tuesday's ring ceremony game against the Quadruple A Blue Jays would be a good place to start.